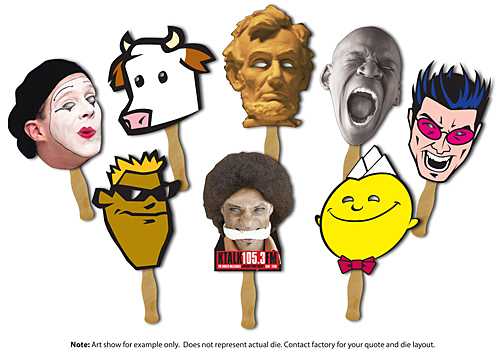 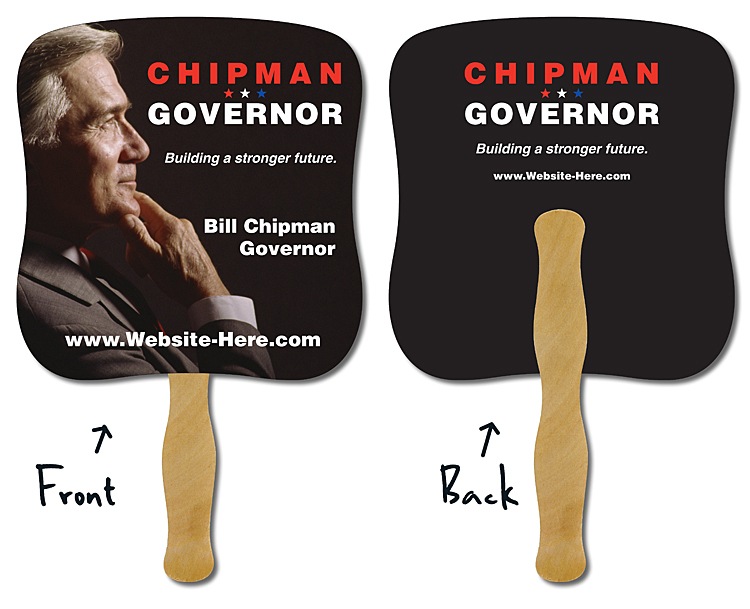 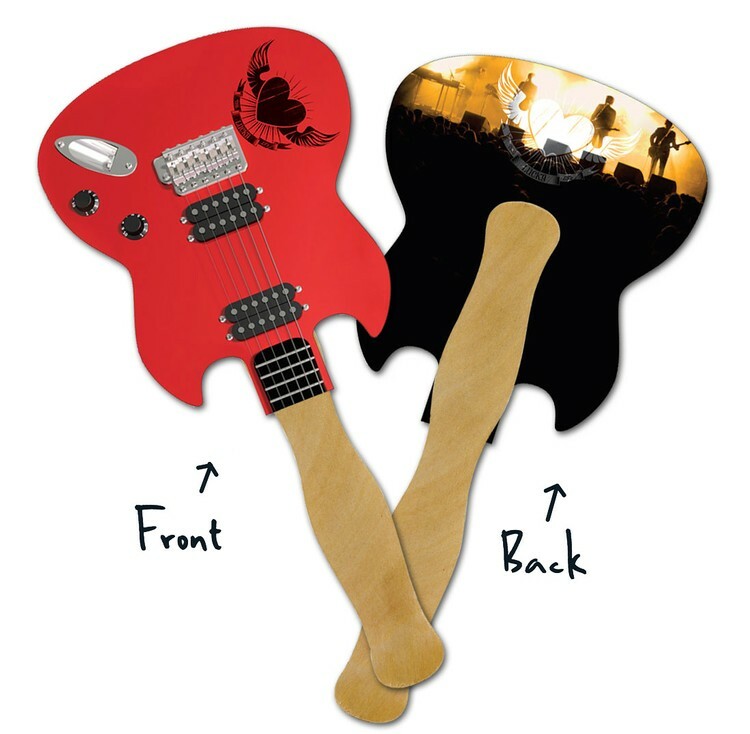 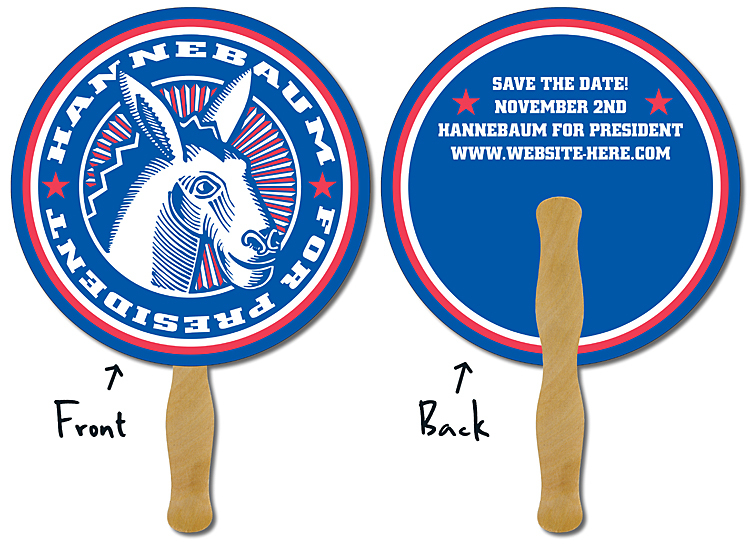 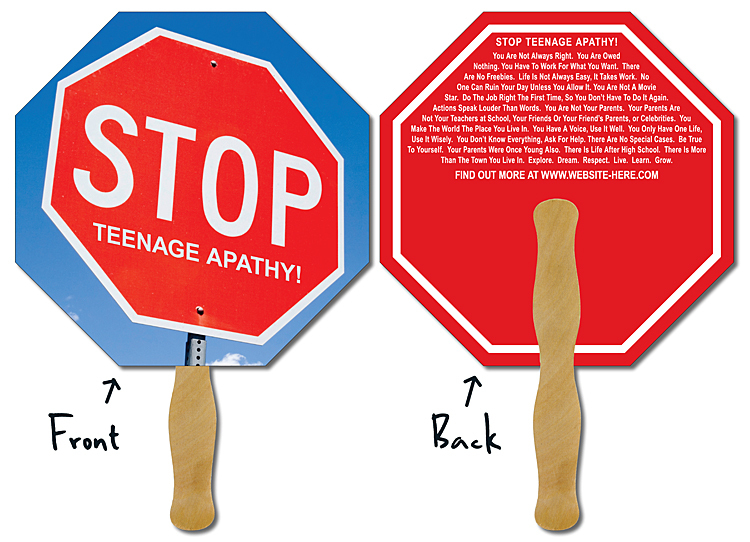 Political Hand Fan - 7.375x7.75 Laminated -14 pt. 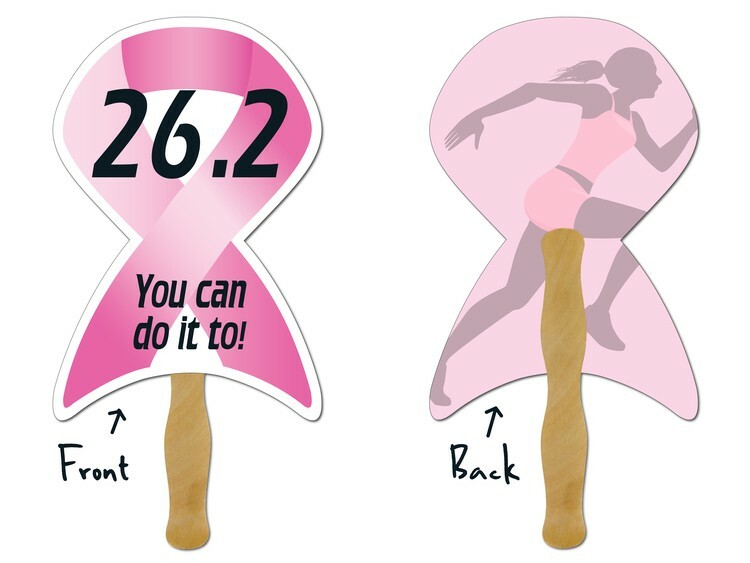 Hand Fan - Laminated 10.0x6.67 Awareness Ribbon Shape - 14 pt. 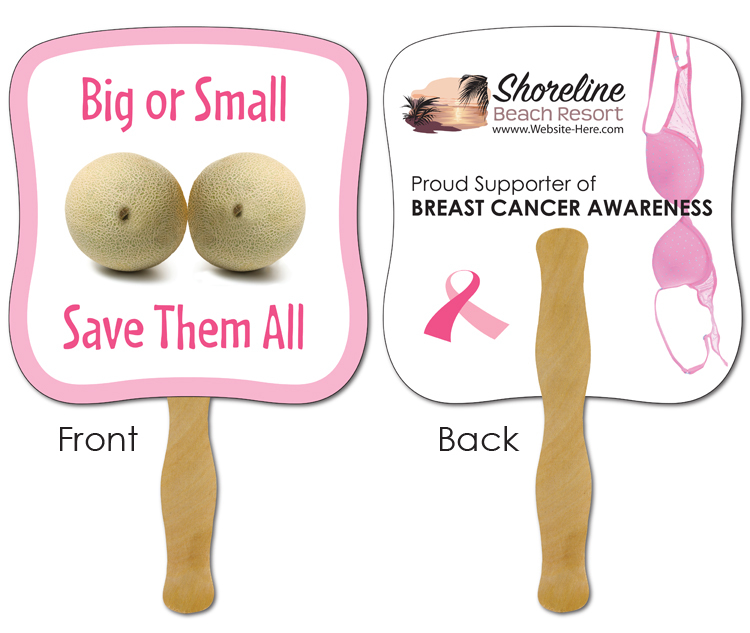 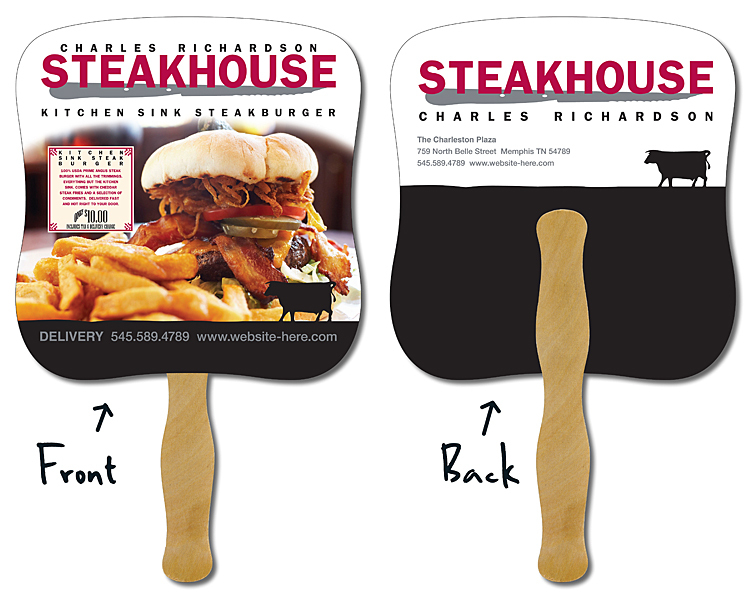 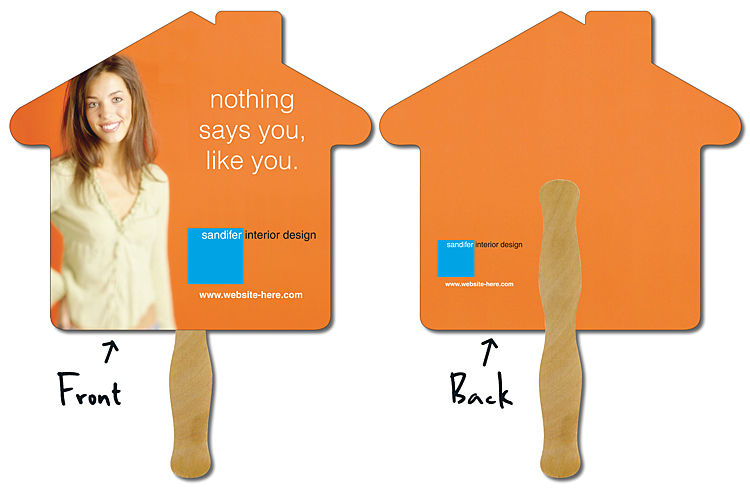 Awareness Hand Fan - 7.375x7.75 Laminated - 14 pt. 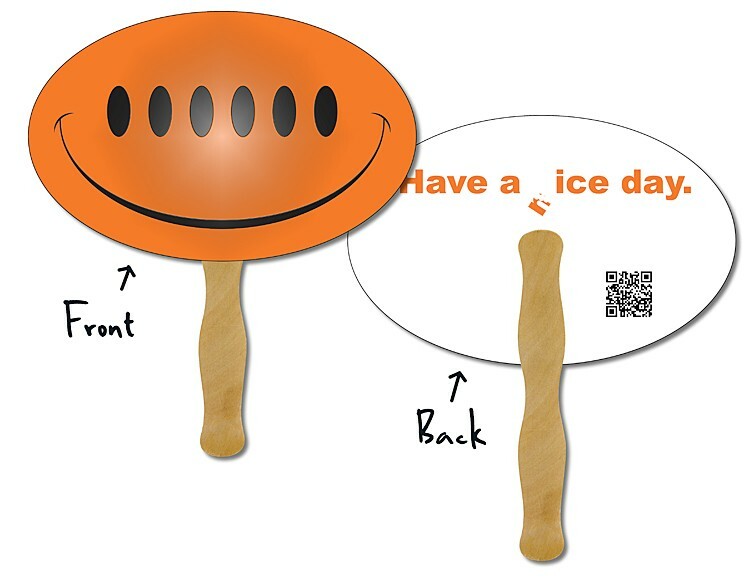 Hand Mask - Custom Shape Laminated (Die Charge Applies) - 14 pt. 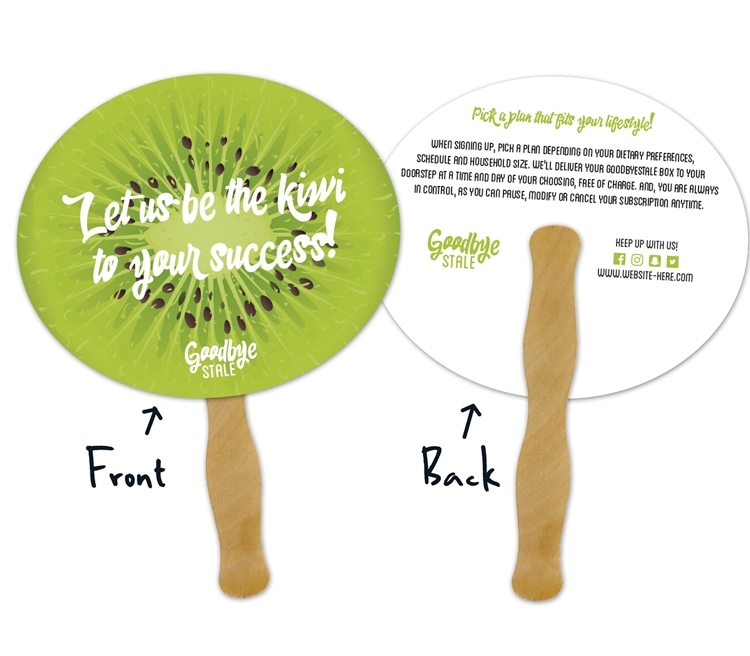 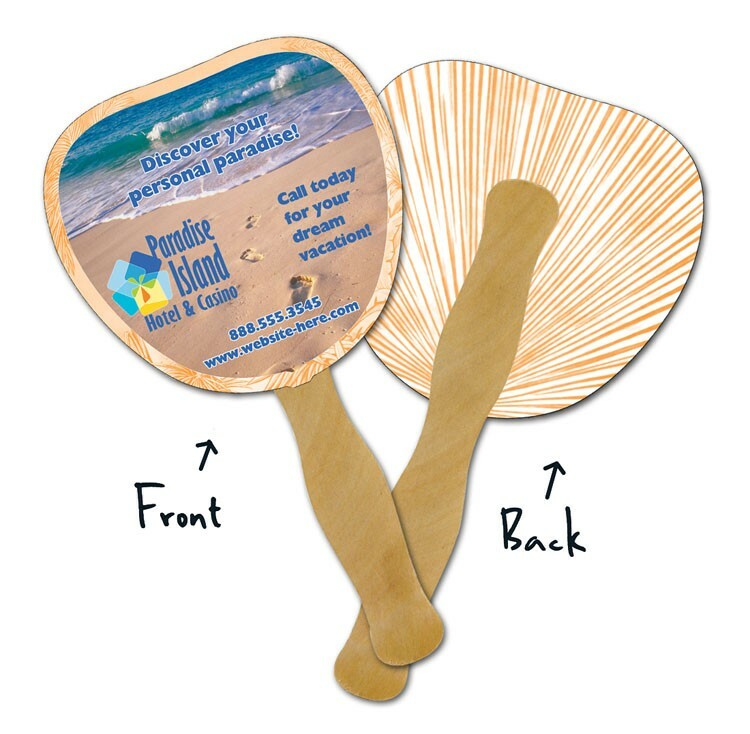 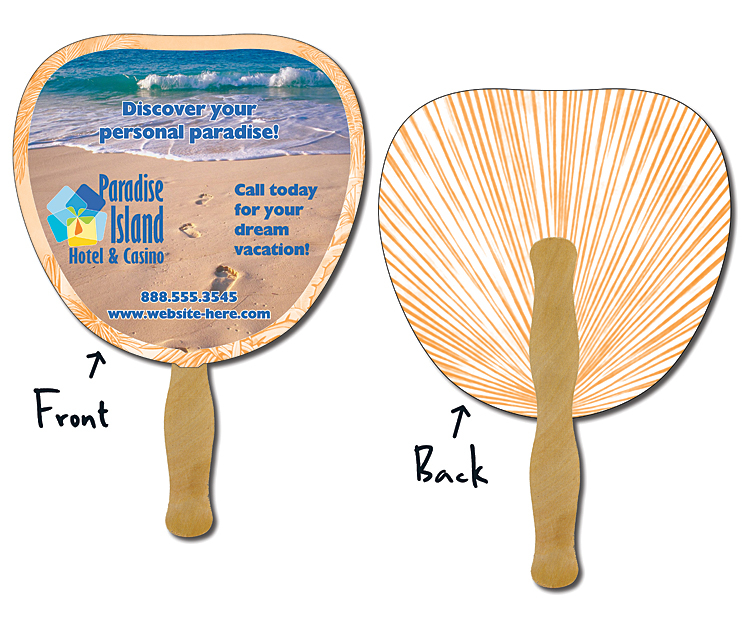 Mini Hand Fan - 5.25x5.5 Palm/Leaf Shaped Laminated - 14 pt. 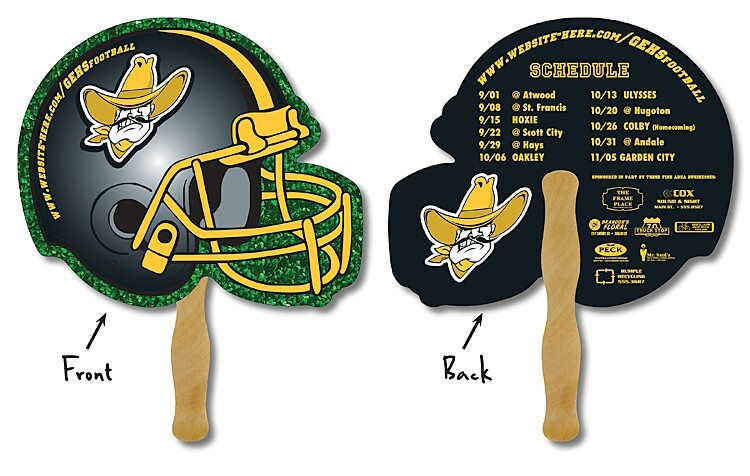 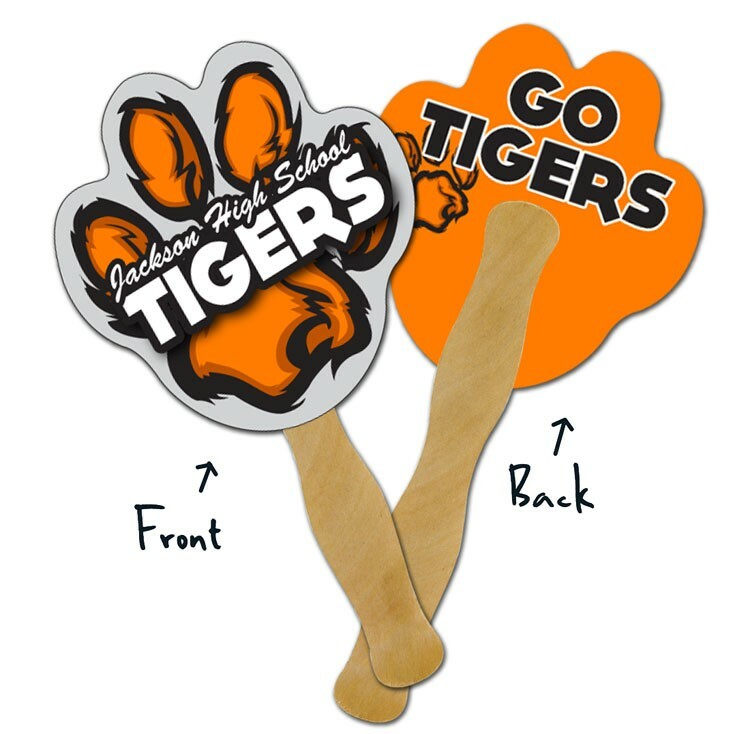 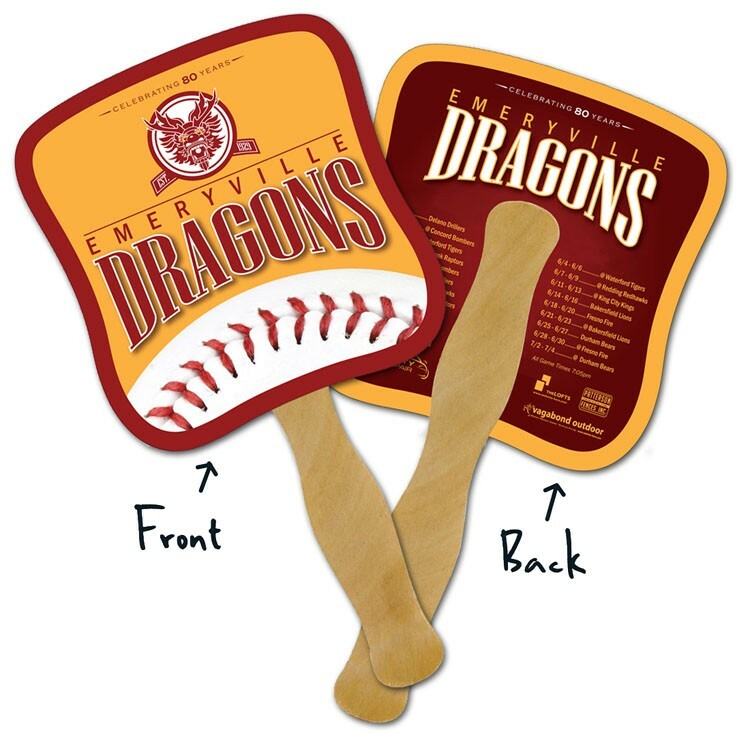 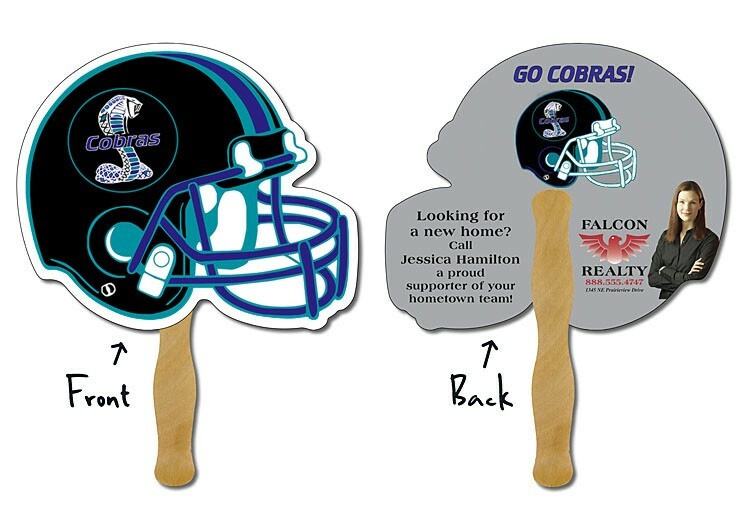 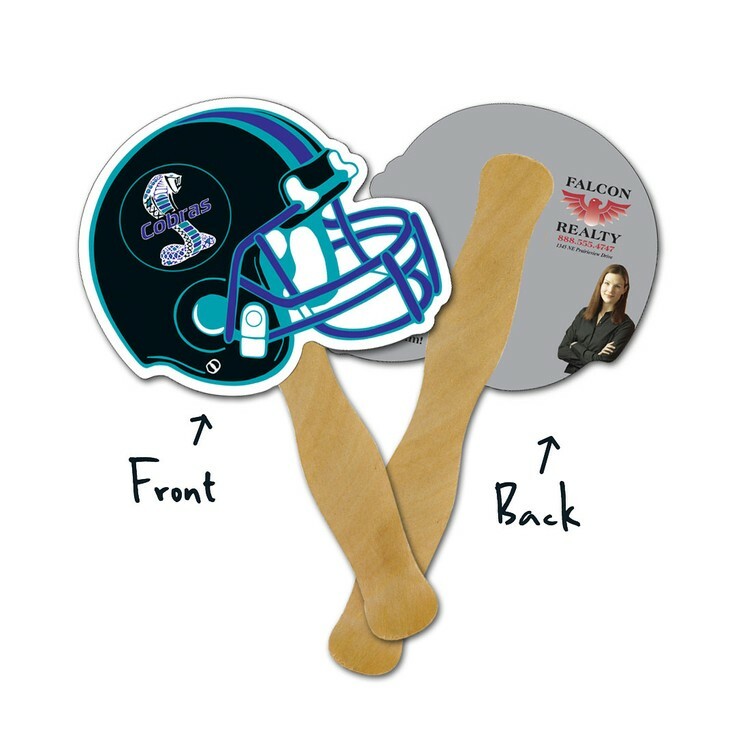 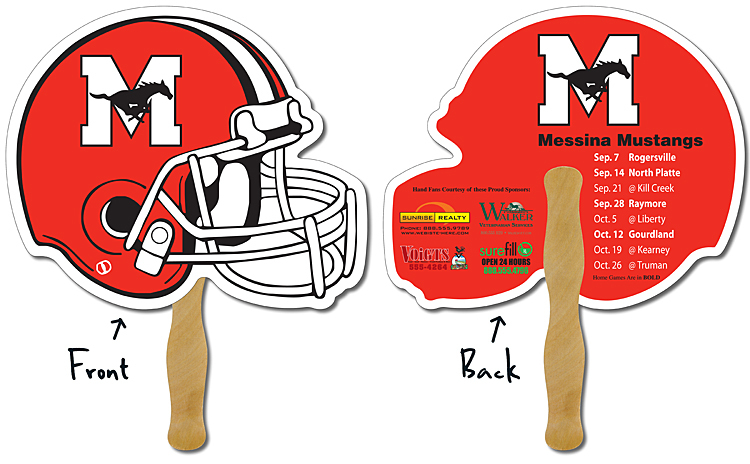 Mini Hand Fan - 5.25x5 Football Helmet Shaped Laminated - 14 pt. 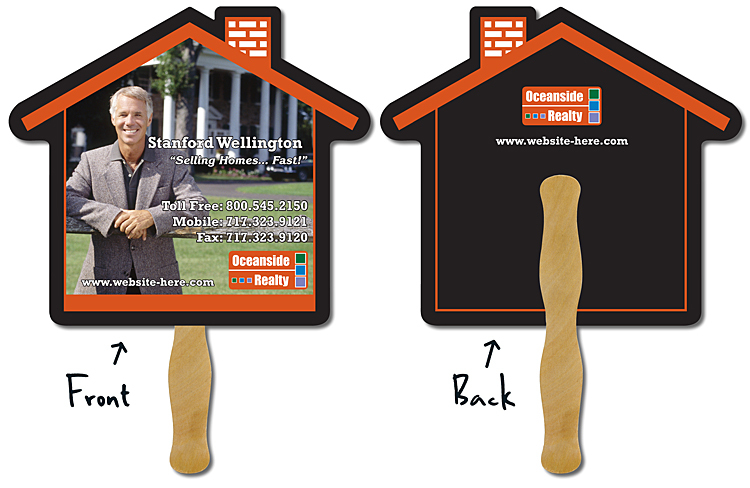 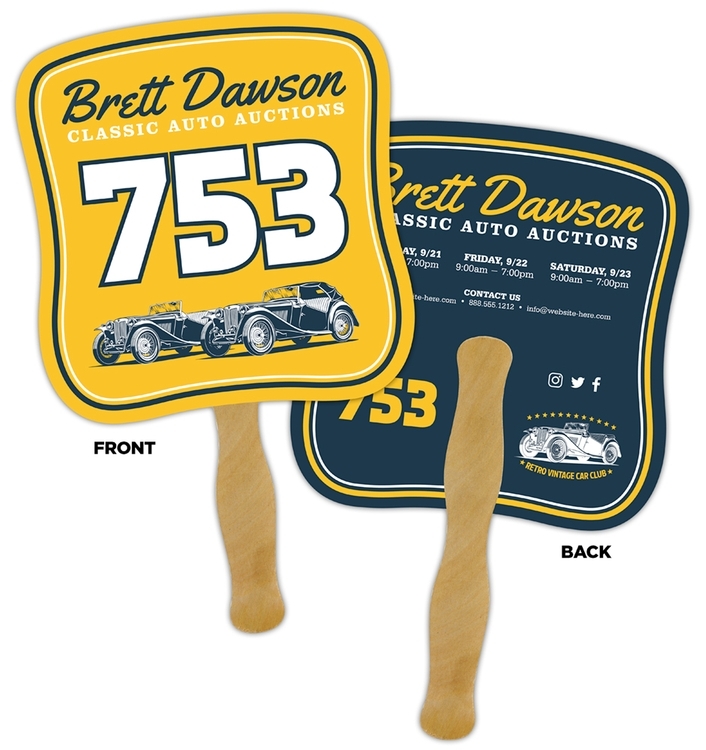 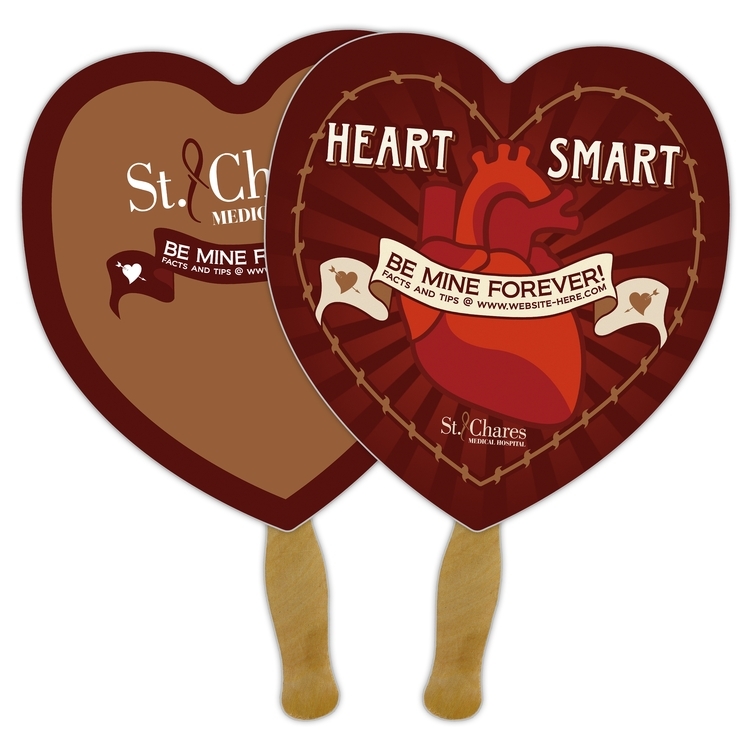 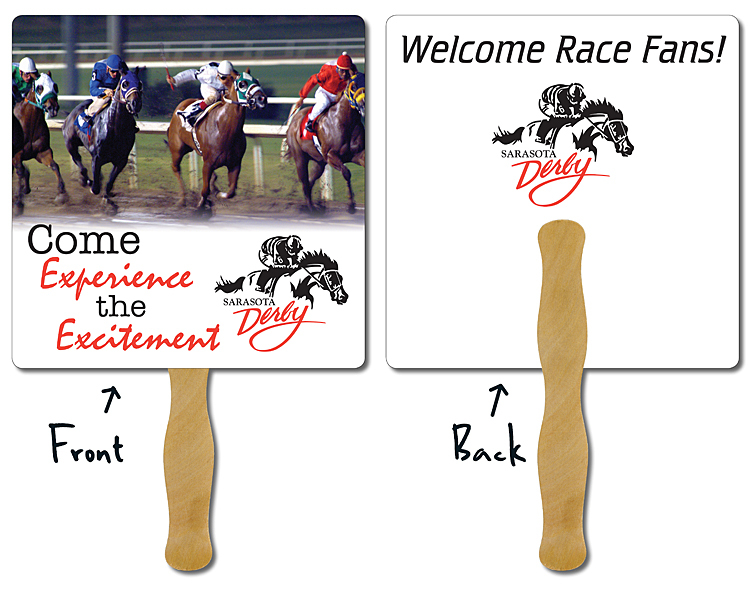 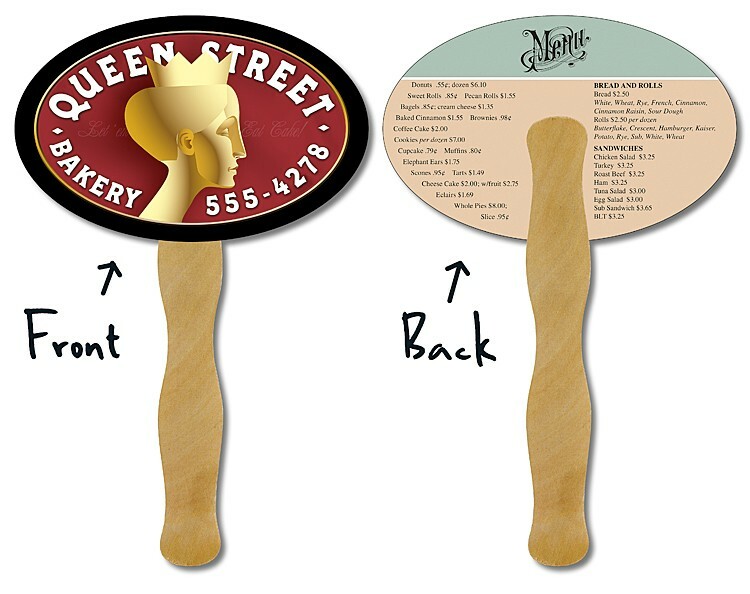 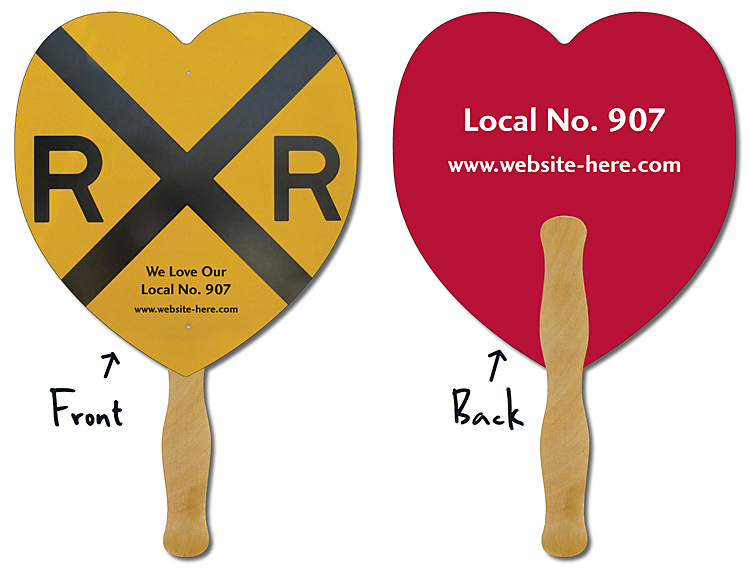 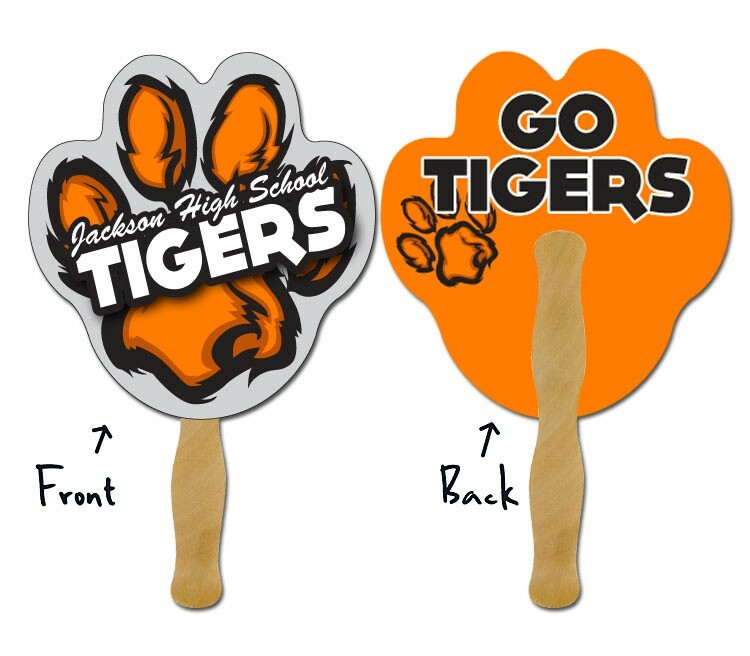 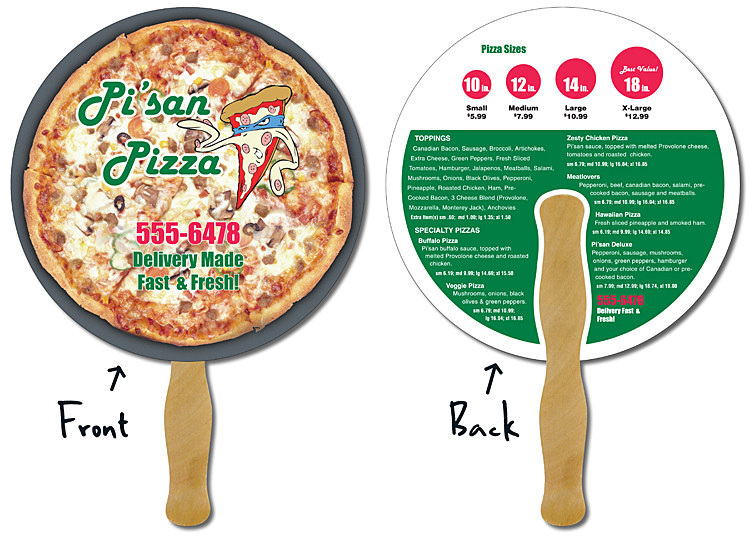 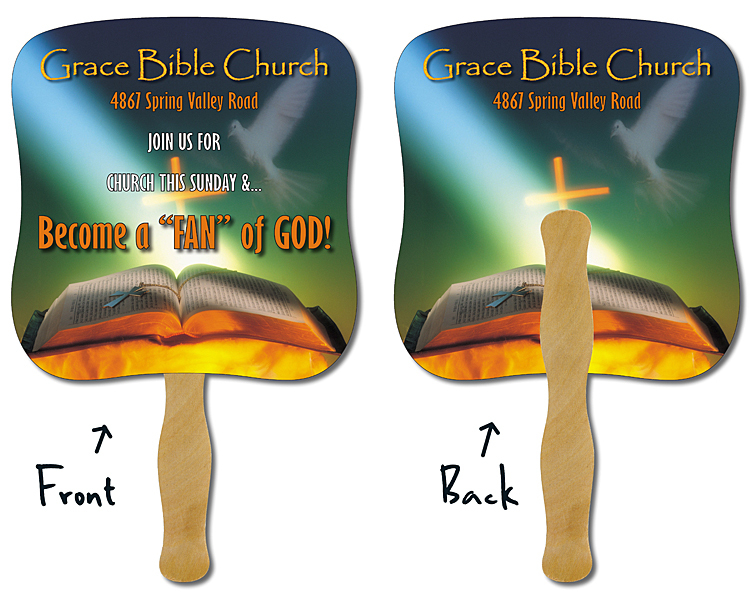 Delivery Hand Fan - 7.375x7.75 Laminated - 14 pt. 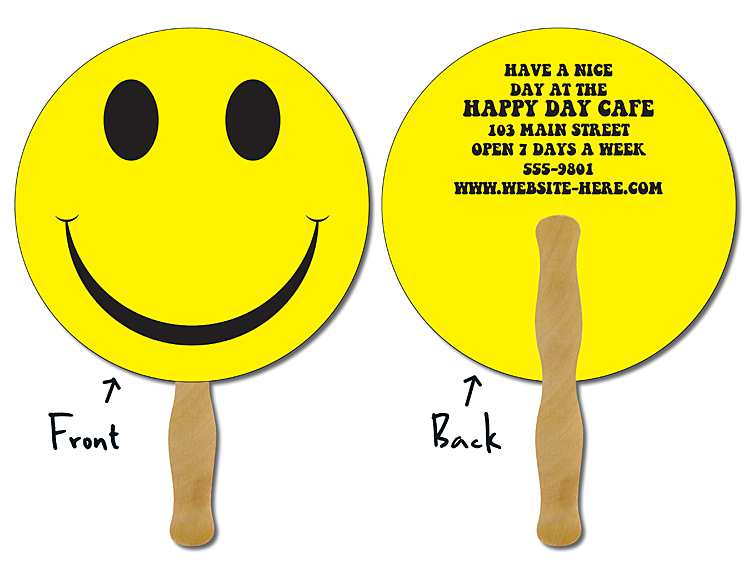 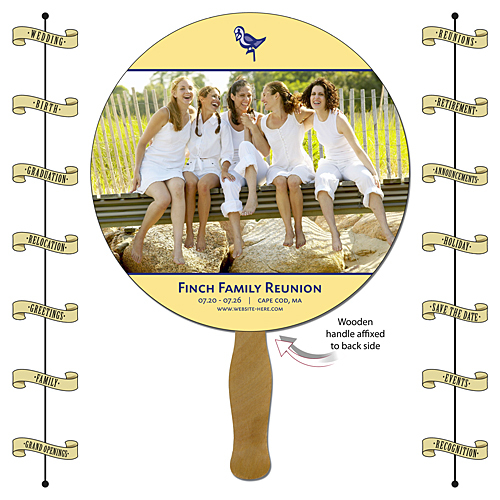 Hand Fan - Laminated 9.3125x6 Oval Shape - 14 pt.